The Institution of Electronics and Telecommunication Engineers (IETE) founded in 1953 is one of the leading Professional Society in India. 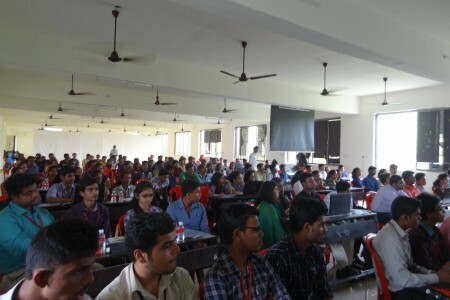 With the great vision of founder and subsequent forefathers and stalwarts who were leading light of the Institution IETE, have been devoting and contributing for the advancement of Science and Technology in the fields of Electronics, Communication Engineering, Computer Science, Information Technology and other related subjects. 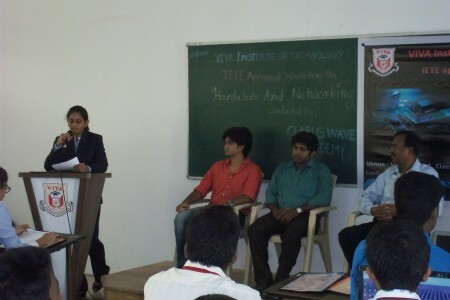 IETE student forum was formed in the year 2011 at VIVA Institute of Technology. The Chairman of IETE, Dr. J.W. 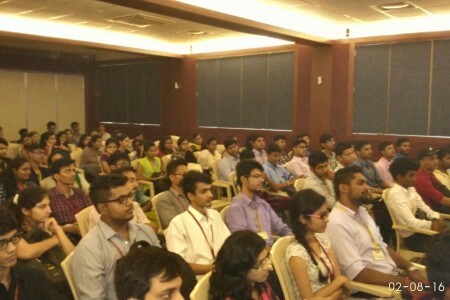 Bakwal, motivated the members by an excellent speech and then gladly inaugurated the IETE Community. 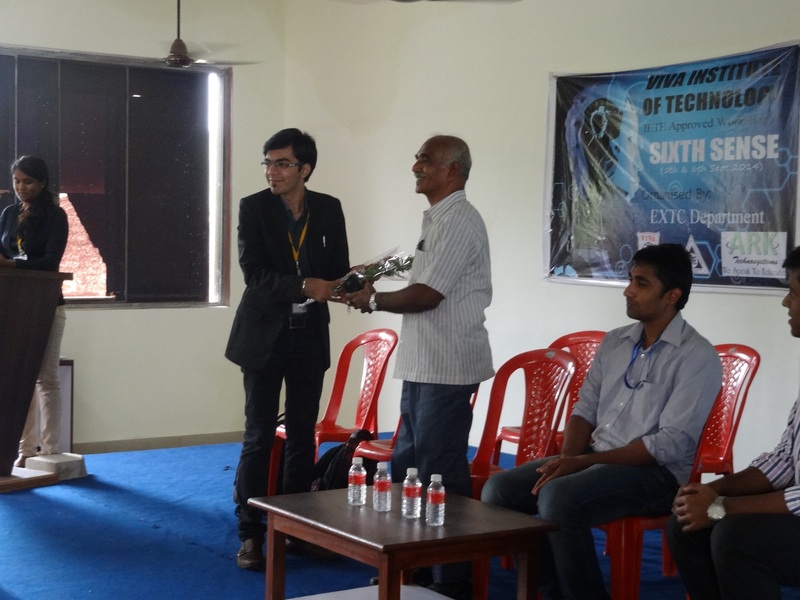 Mr.Arun Kumar, the Principal of the college who also took this opportunity to thank IETE to open a branch in V.I.T. 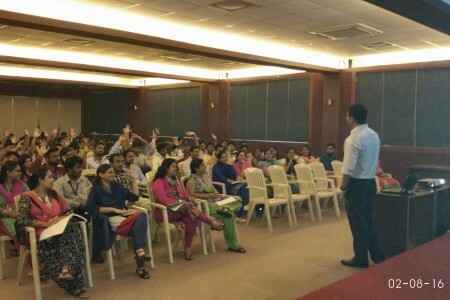 which was followed by a speech Mr. Shashank Patil the Trustee of V.I.T. then spoke about the importance of IETE and practical learning. Shri Parag Walinjkar, Hony. Treasurer focused the objectives of IETE and benefits of IETE students Forum and advised the students to utilize the resources, labs & library facilities at IETE local centre. Encourage team spirit and self-reliance among student members. 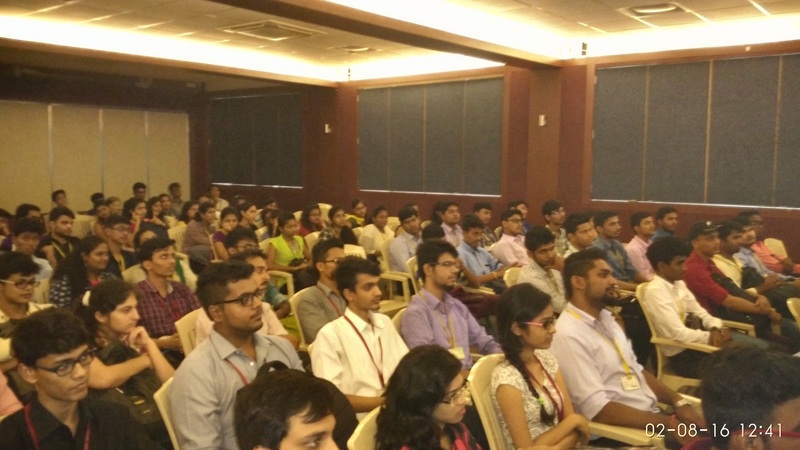 ISFs should be a catalyst for the overall growth in technical and professional skills in young students. ISFs will be under the supervision of a Managing Committee monitored by the Local IETE Centre. Request for registration of ISF should be through the IETE Centre. There will be Six student members In the Managing Committee out of which there will be a Chairman & a Hony. Secretary. A faculty member of the College/Polytechnic and one nominated EC member of the Centre will be permanent invitees of the committee. The management committee shall meet as often as possible in sustaining and coordinating the activities of ISF. 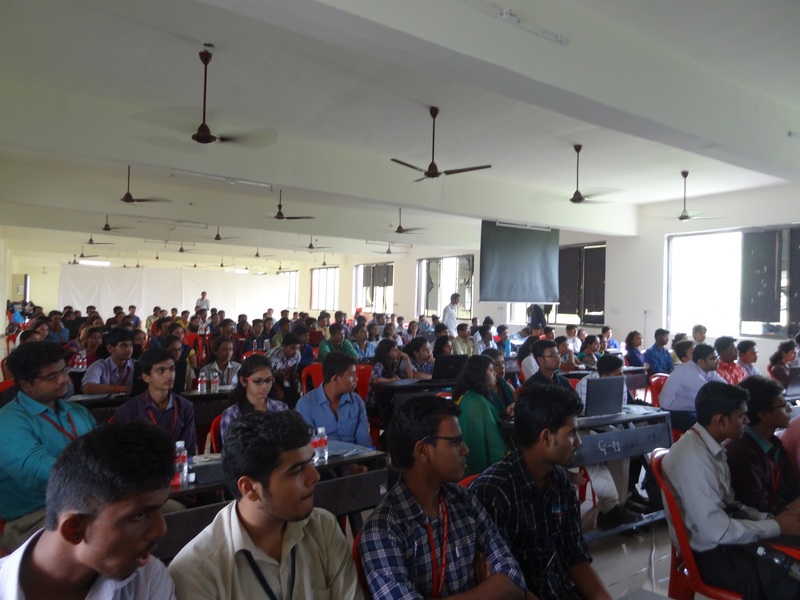 Electronics & Telecommunication Engineering Department of VIVA Institute of Technology organized a two day workshop on “INTERNET OF THINGS (IoT)” under the banner of IETE on 9th & 10th August, 2016. 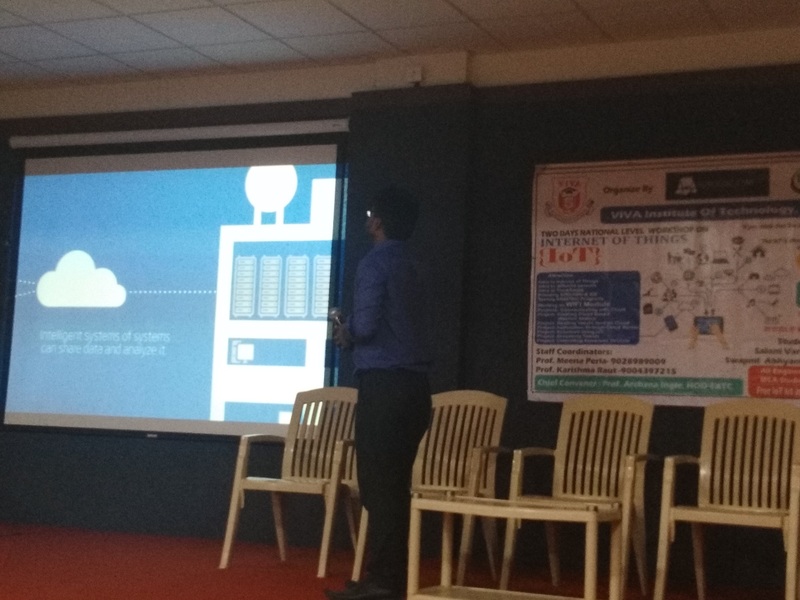 The workshop was based basically on Home Automation concept and interfacing of component over a internet which was conducted by Mr. Ajit Yadav as the speaker and a team of volunteers who guided the participants. 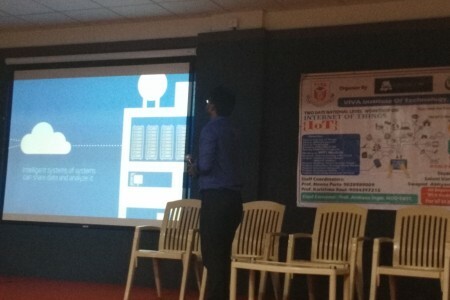 Explanation on what is Internet of things?, Importance of Internet of things, Basic programming related to Internet of Things concept, Brief description of future scope of IOT, Introduction and program based on Wifi Module, Interfacing of physical components such as Sensors , Led’s , Motors etc over internet, Home Automation programming. 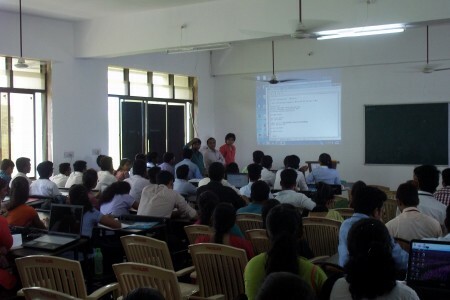 Electronics & Telecommunication Engineering department of VIVA Institute of Technology organized a one day seminar on “CELL PHONE TOWER RADIATION” under the banner of IETE on 2nd August, 2016 by Mr. Saagar Kumar, CEO of NESA Radiation solution Pvt Ltd.
Mr. Saagar Kumar introduced himself and his team to the students and enlightened them about Cell phone Tower Radiation and presented power point presentation to help students visualize the same. 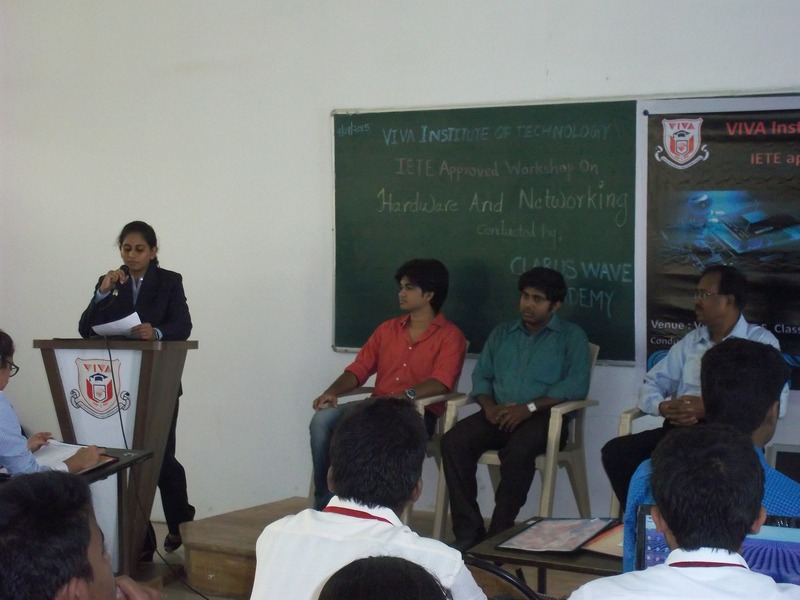 Electronics & Telecommunication Engineering Department of VIVA Institute of Technology organized a two day workshop on “HARDWARE AND NETWORKING COURSE” under the banner of IETE on 9th & 10th September, 2015. 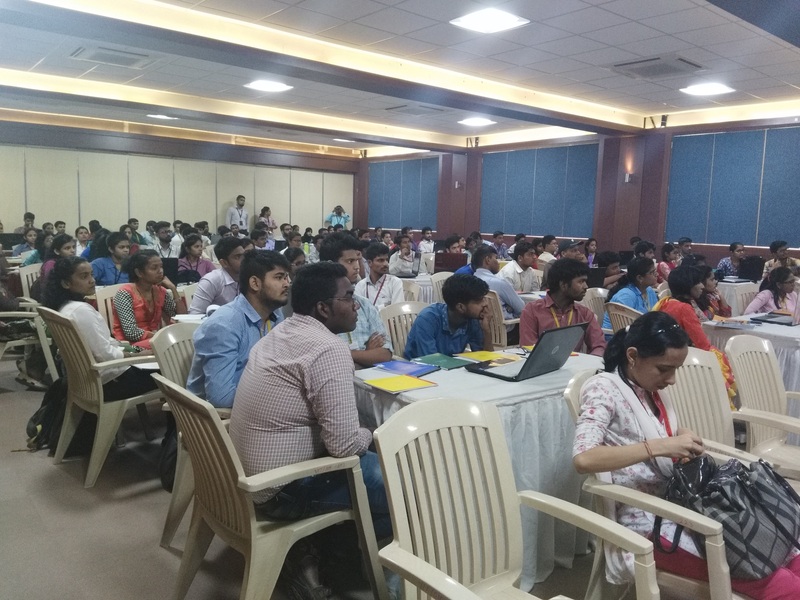 The workshop was based basically on networking course which was conducted by Clarus Wave Academy with Kevin periera and Gautam chaudhari as the speakers and a team of volunteers who guided the participants. 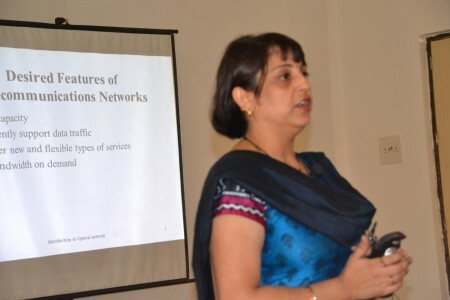  Explanation on types of network, OSI model, Layers in OSI model.  Brief description of static and dynamic routing. 2) Default gateway is a router that host use to communicate with other host on remote networks. 1) VLAN are logical grouping of devices in the same broadcast domain. 1) Each port on a switch can be configured as either an access port or trunk port. 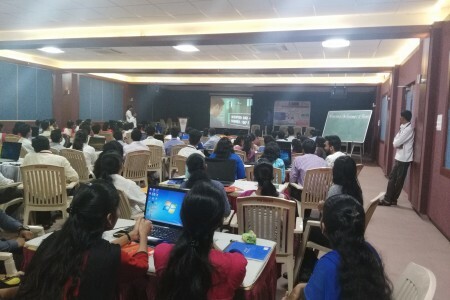 The PPTs and the codes that were discussed and explained by the Clarus Wave Academy Team via the projector were made accessible to the participants via their own laptops during the course of the workshop for better understanding of the topics discussed. 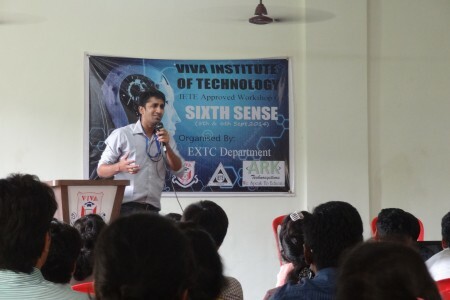 The workshop organized by Electronics and Telecommunication Department under IETE was worth fruitful for all the Students of VIVA Institute of Technology. 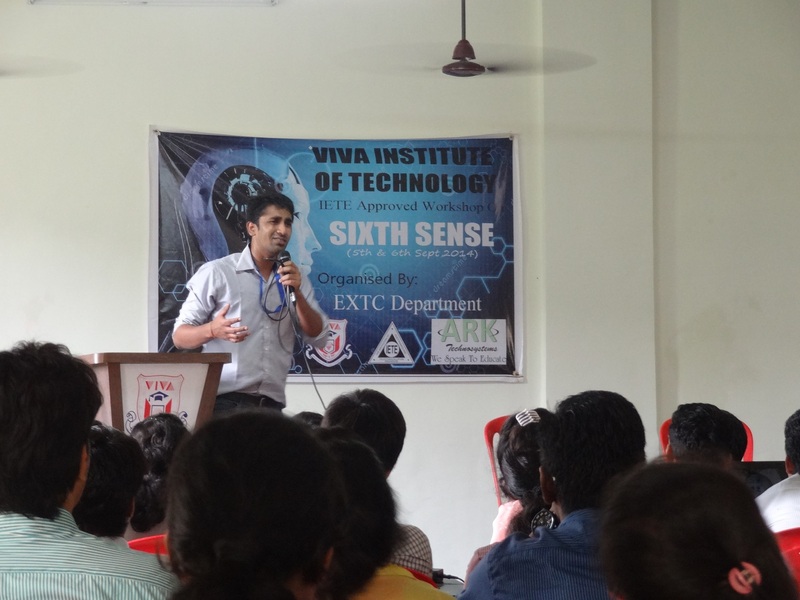 Electronics & Telecommunication Engineering Department of VIVA Institute of Technology organized a two day workshop on “SIXTH SENSE” under the banner of IETE on 05th & 06th September, 2014. All these days the participants would have used traditional sensors like IR, ultrasonic, LDR sensors etc. which were used for sensing an obstacle or light, but these sensors where never able tell the robot the color of the light or the type of obstacle present in front of the robot. In this two day workshop, using a camera, the robot will be able to tell what the robot is sensing. For processing of the images, we use a tool called as MATLAB, which is widely used in industries. 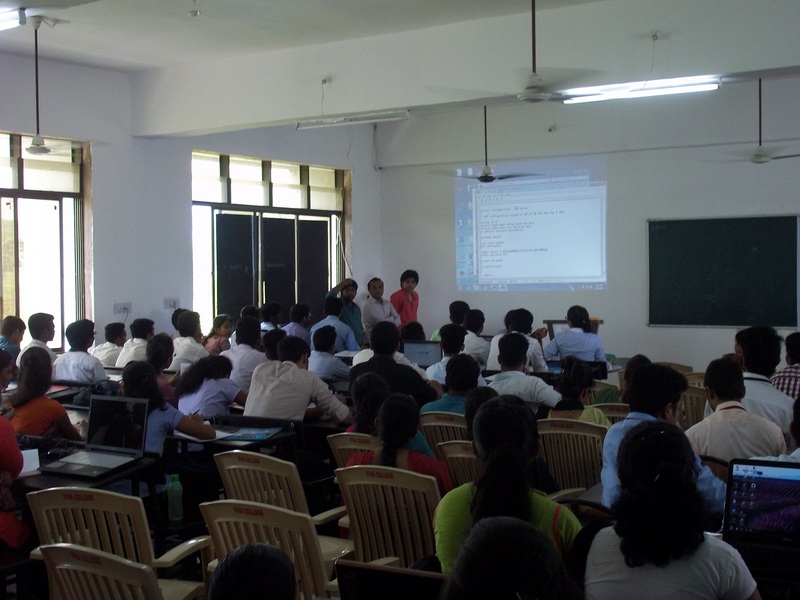 Electronics & Telecommunication Engineering Department of VIVA Institute of Technology organized a two day workshop on “Robotics and Automation” under the banner of IETE on 06th & 07th September, 2013. 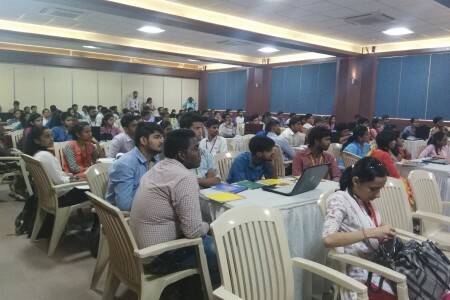 The workshop was based on DTMF module controlled wireless robot using GSM Technology which was conducted by SRA-VJTI team with Rakesh Chiluka and Nachiket Kulkarni as the speakers and a team of volunteers who guided the participants. 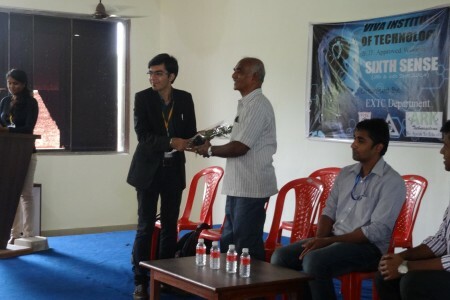 Electronics & Telecommunication Engineering Department of VIVA Institute of Technology organized a one day seminar on Optical Satellite Communication & Microwave Linking under the banner of IETE on 8th February, 2013. Many eminent speakers were called for the seminar. 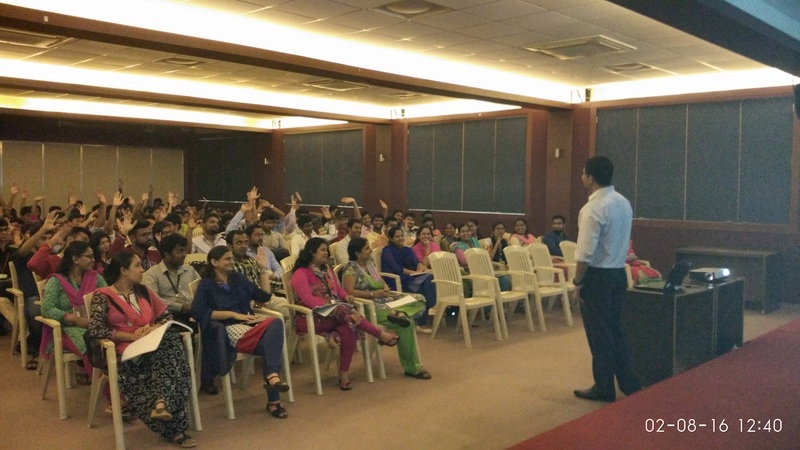 The seminar comprised of four sessions. 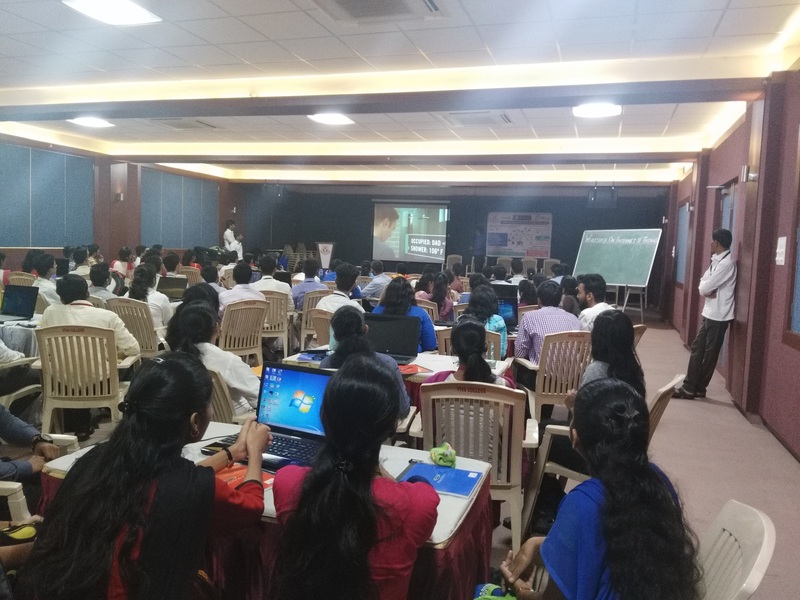 The first session had Prof. Prathibha Sudhakaran from Xavier’s College of Engineering who talked about Electromagnetic and their Applications. 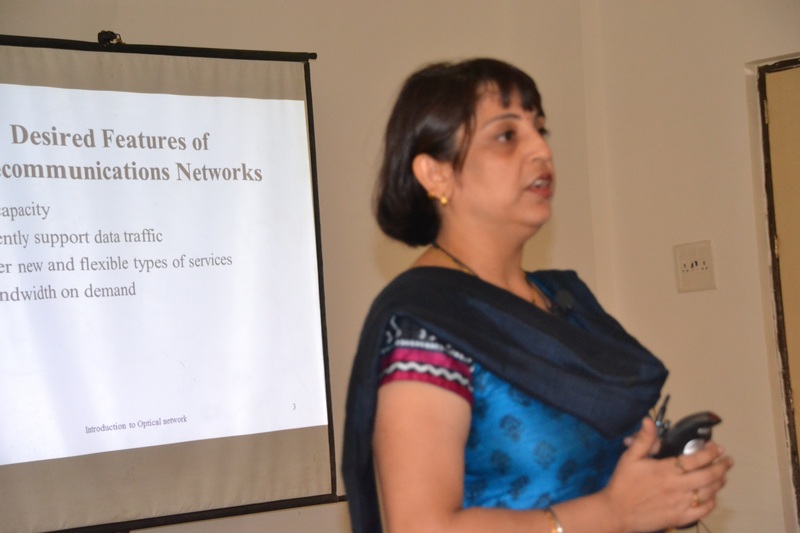 The second session had Dr.Lochan Jolly from Thakur College of Engineering who talked about Optical Networks. The third session resumed after a short lunch break. 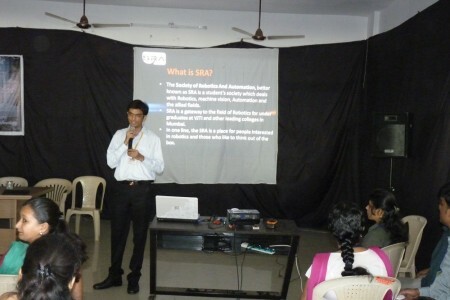 The speaker of third session was Prof. Ameya Kadam from D. J. Sanghvi College of Engineering. The topic of his discussion was Satellite Communication. 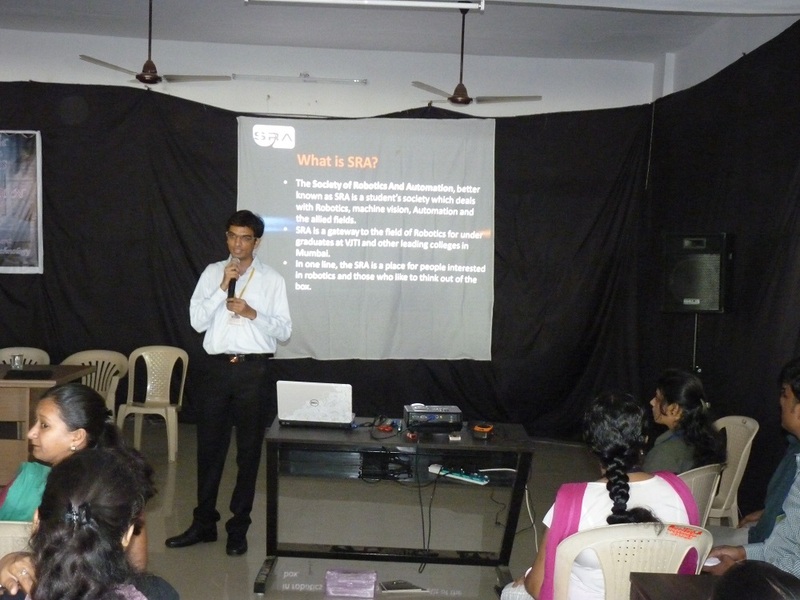 The fourth session had Dr. Uday Pandit from St. Francis Institute of Technology who talked about Current Mode Devices for Microwave Circuits.